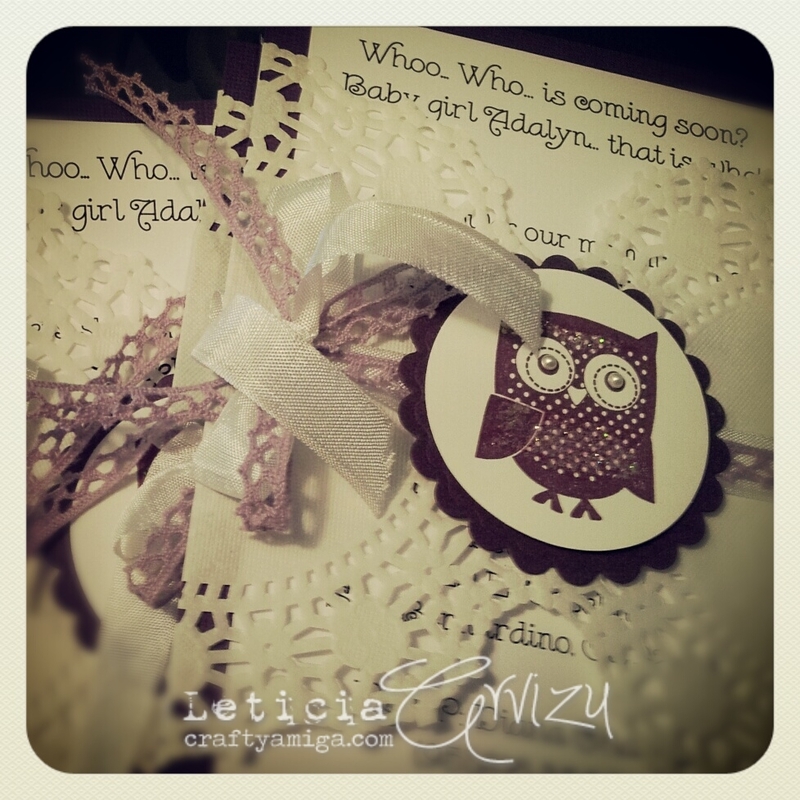 Just wanted to take the time to share these custom baby shower invites with you! I made them with a vintage feel using doilies, pearls, seam binding and crochet trim. The mom-to-be chose the invitation wording which went great with the owl theme. She was really happy with what I created. The finished size was 5" x 7".